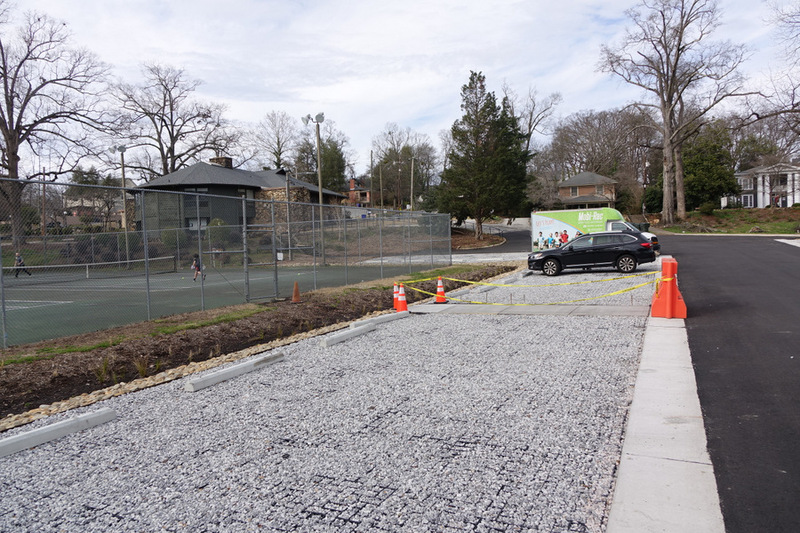 As part of the makeover of the facilities in McPherson park, asphalt in the parking area was replaced with gravel held in place by a grid. 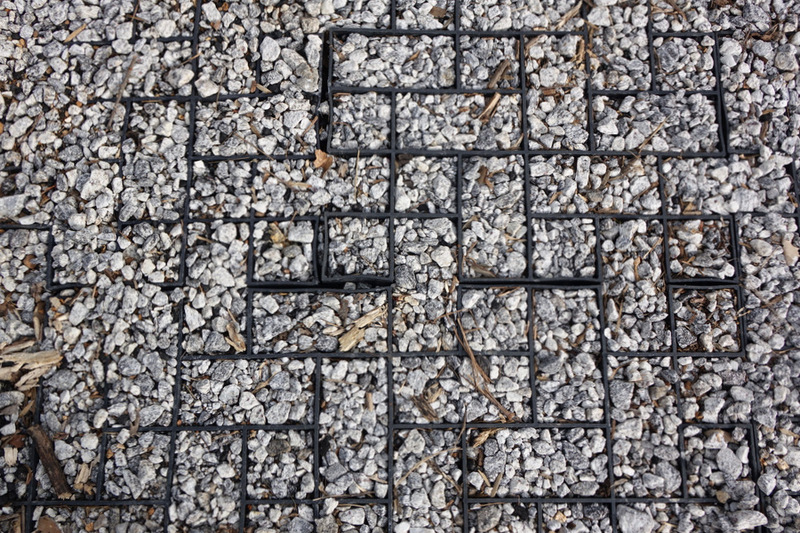 This allows water to enter the soil instead of immediately running off into the creek. 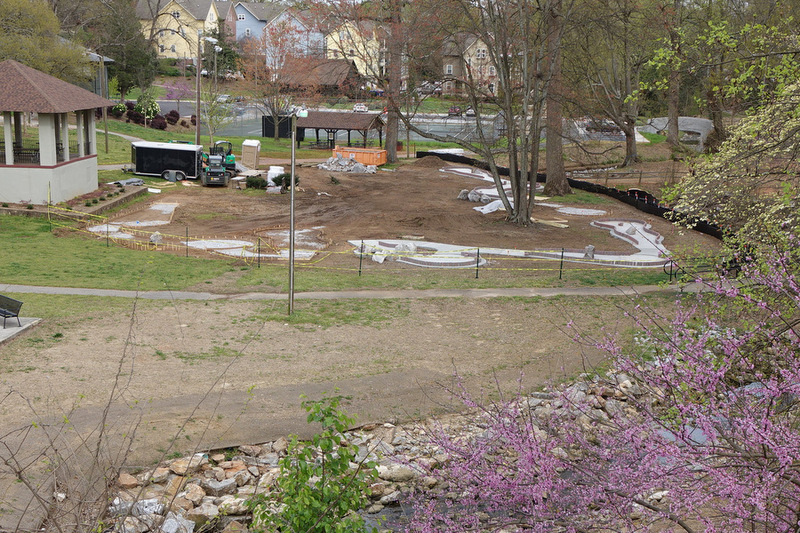 Every little bit helps to prevent stormwater issues later. 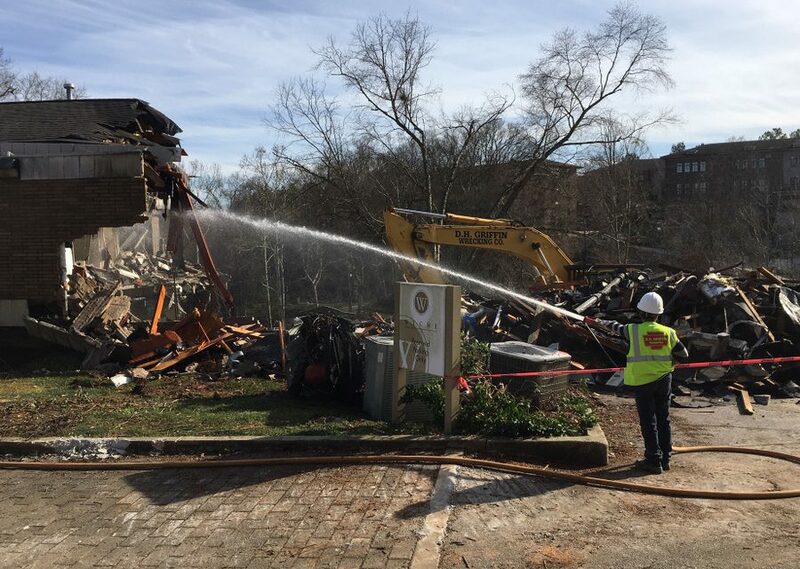 Demolition of the Wyche Law Firm Building has commenced to make way for the Grand Bohemian Hotel. 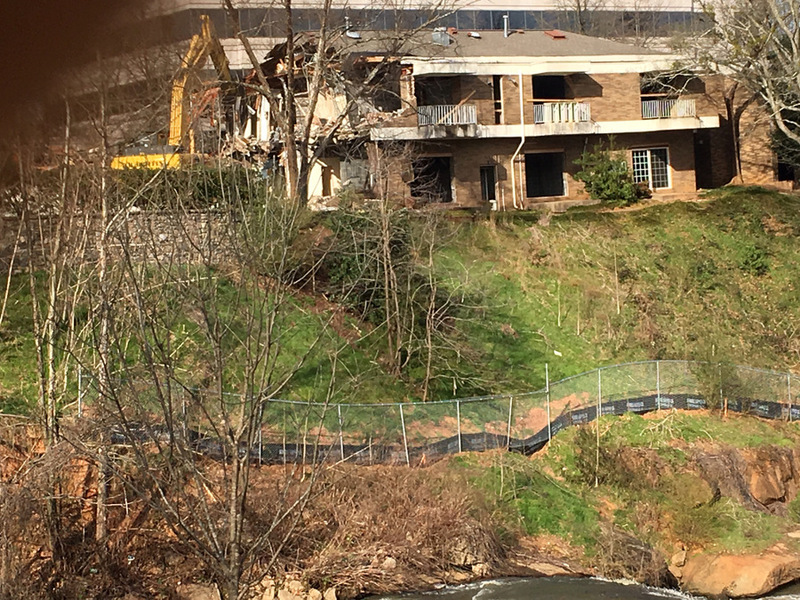 View from Falls Park across the Reedy River. 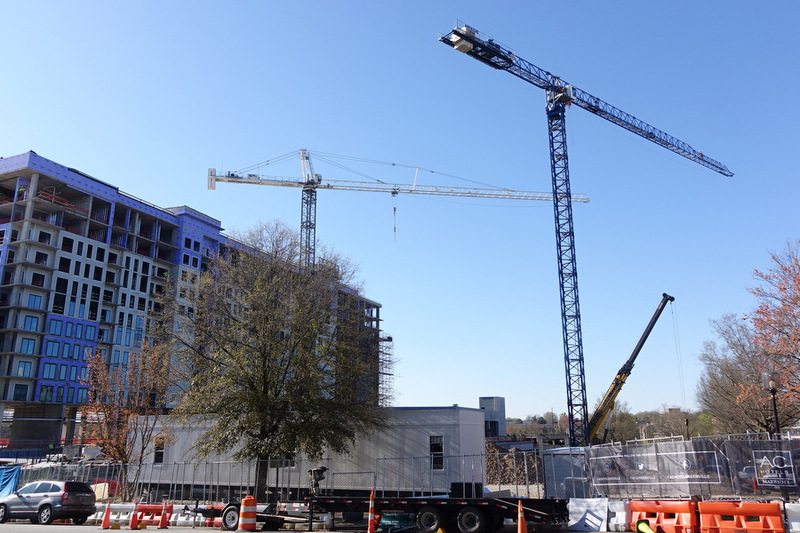 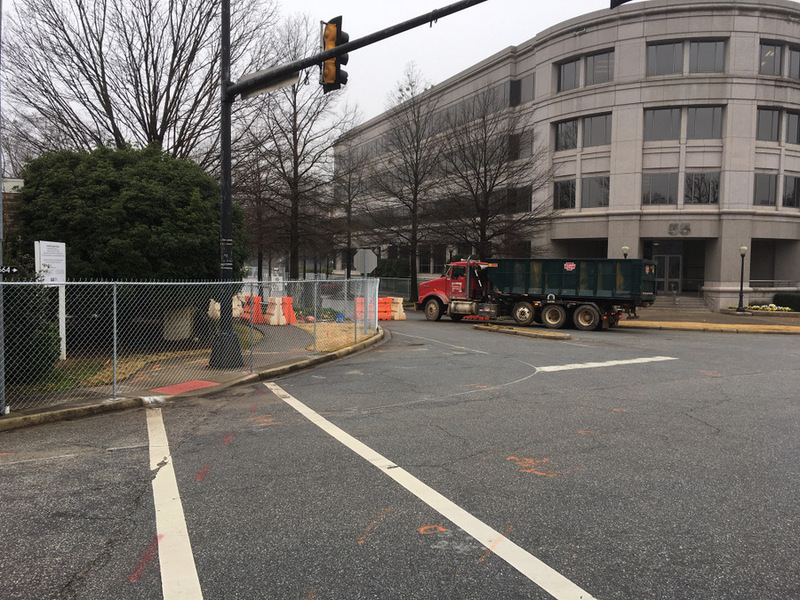 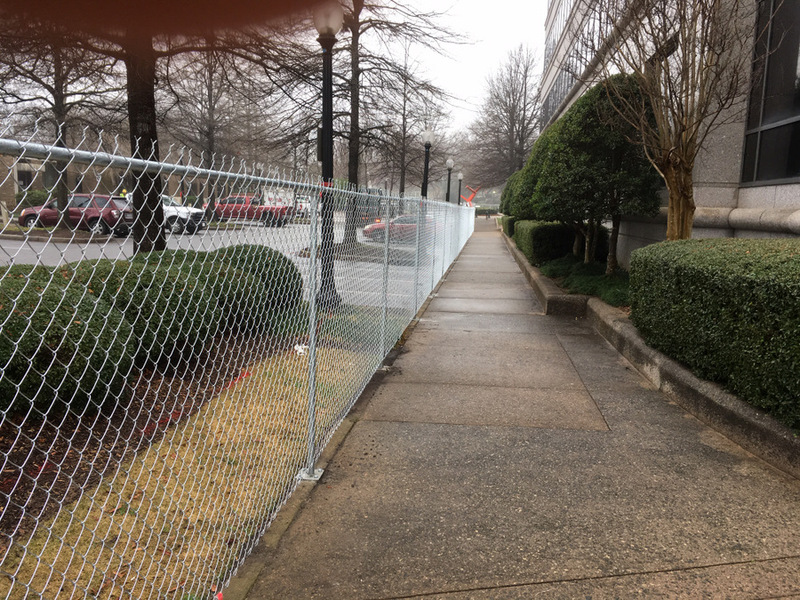 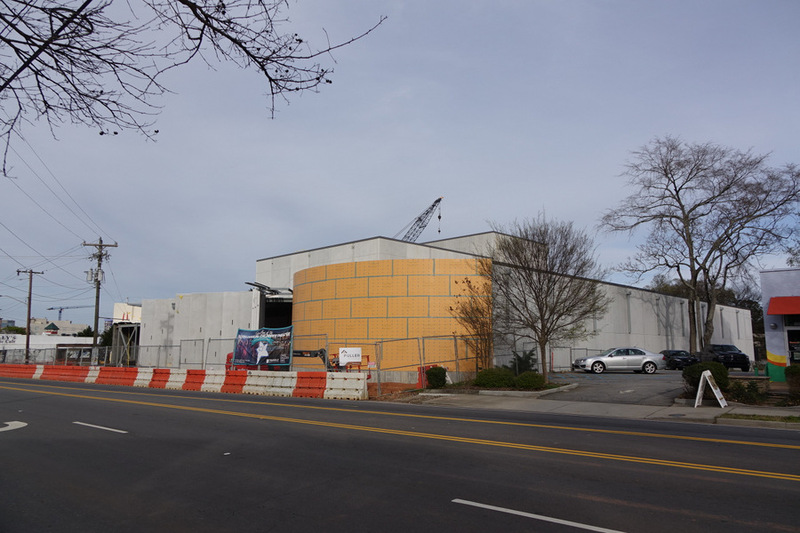 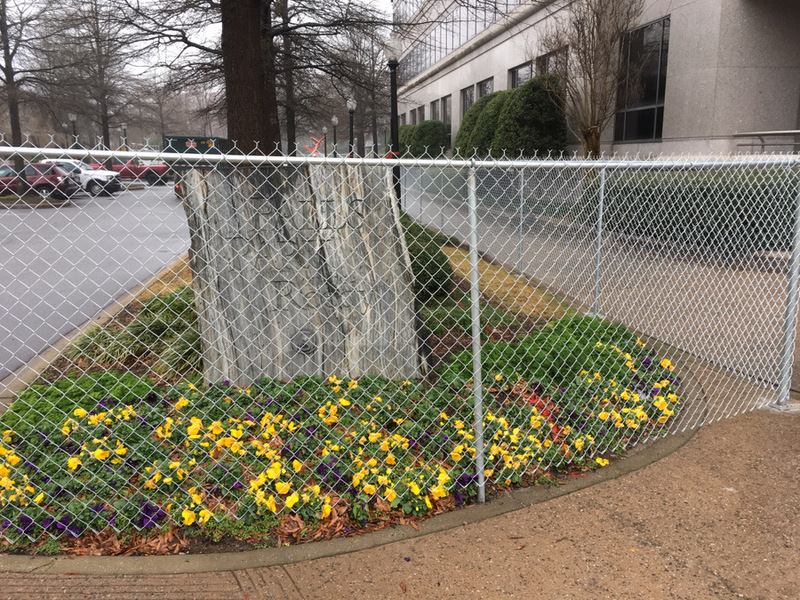 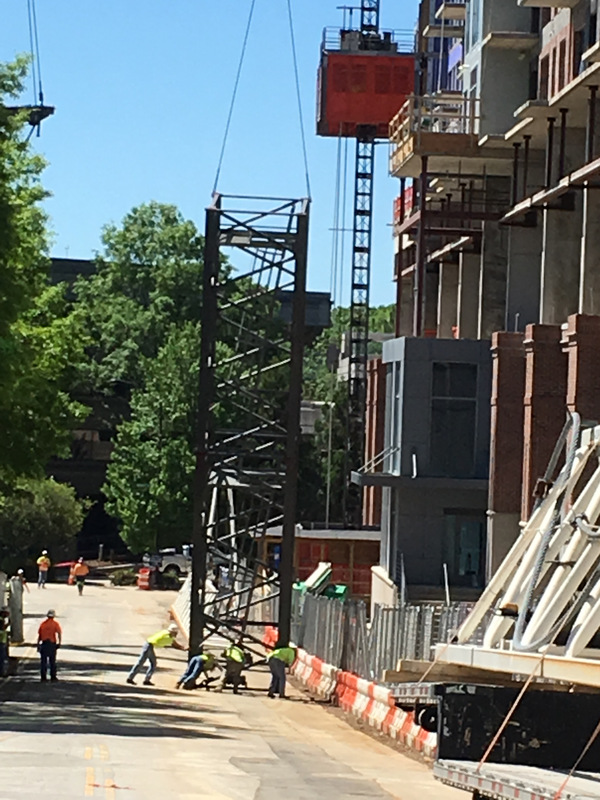 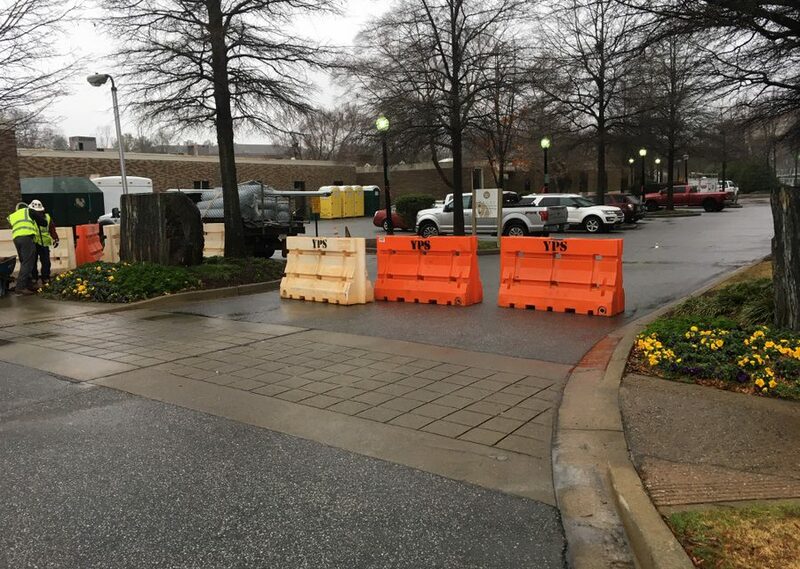 With this project the best free parking spots in GVL next to the Liberty Bridge are now history, to be replaced by green space in the final design. 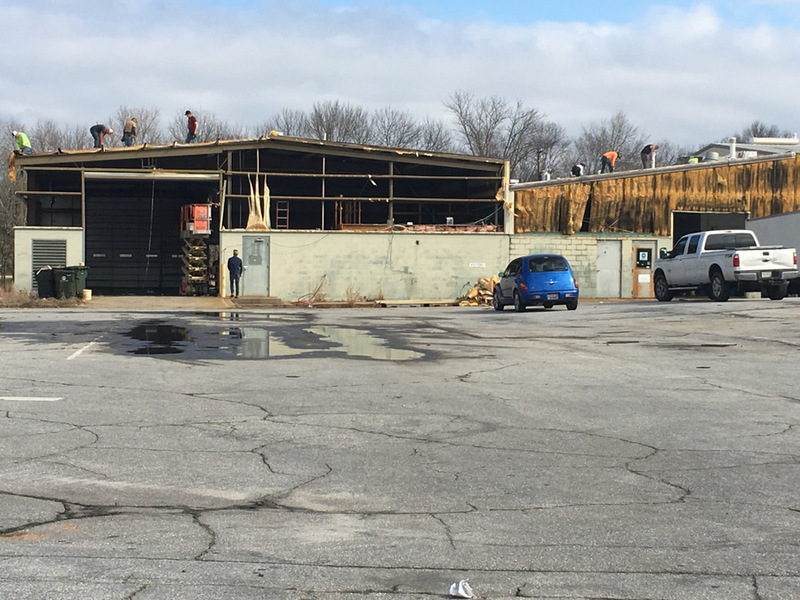 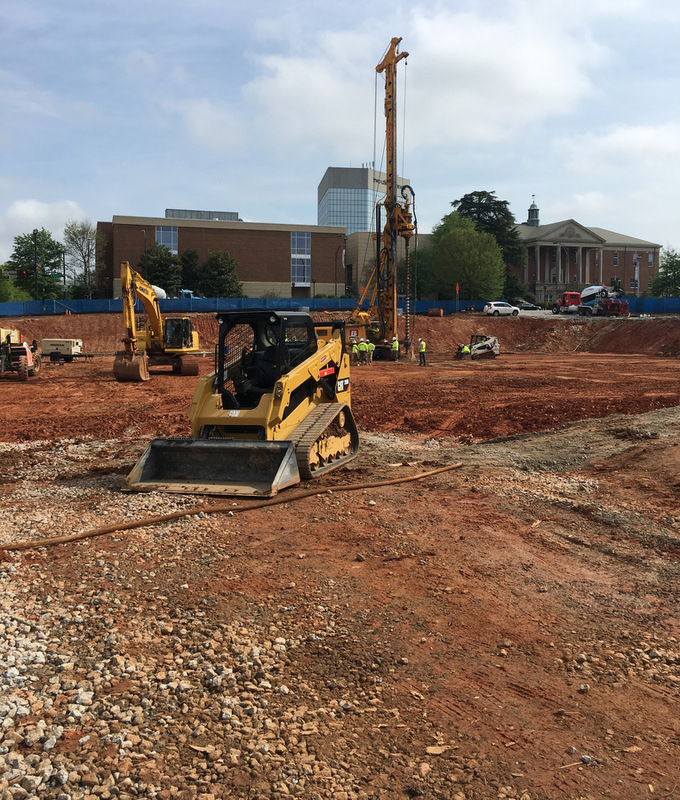 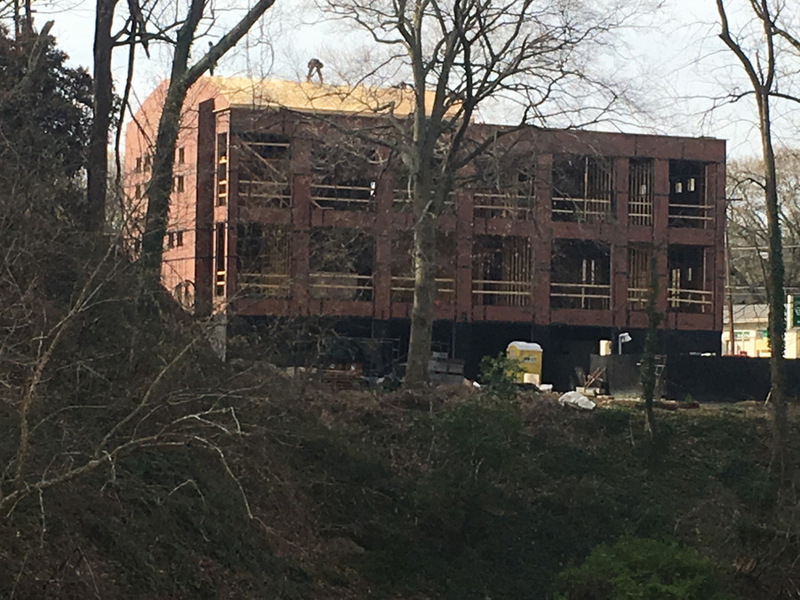 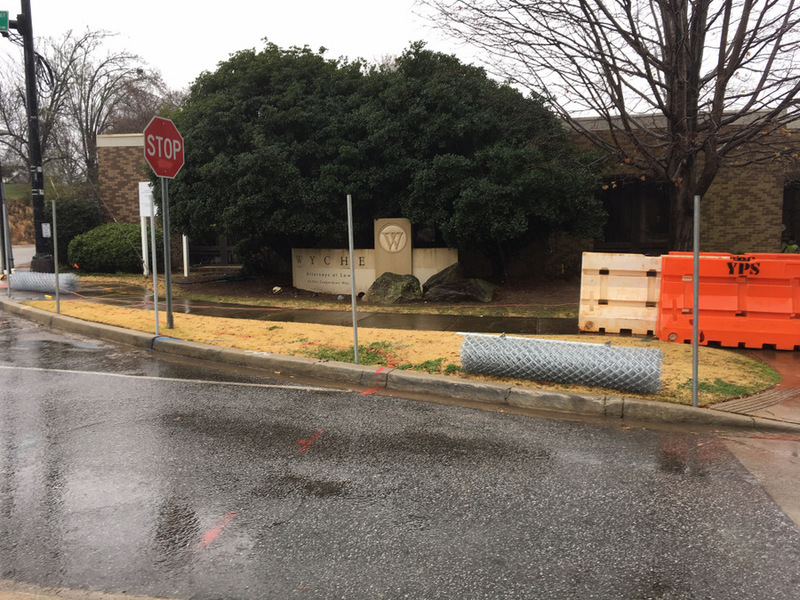 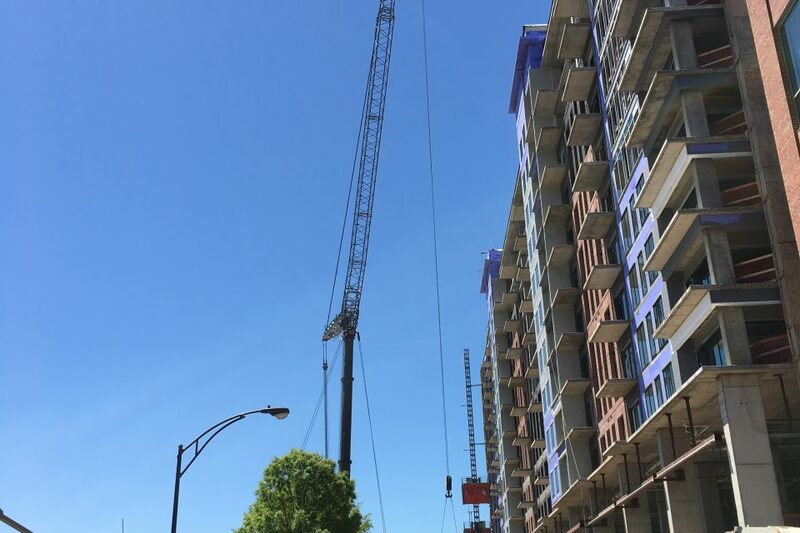 It will take two years to complete the project, with the Wyche Law Firm building demolition to take 3 to 4 months according to a project superintendent we spoke to.